The name of the organization with seen to remain the same, “ICANN”, but the people is power over the organization is about to shift, without your vote, Oct 1st to an assemblage of the world body politic, mostly compose of despots and dictators. The effect of this is still yet to be seen, but one key person involved in today’s political fray, presidential candidate Donald Trump, opposed the lackluster plan. Basically, the current domain name system as you have grown to know, and trust, is about to go under changes that could easily lead to intimidation and censorship against free speech. Protection of grassroots political speech is also at risk. The world can go on with less adult websites, but the world simply won’t be as good or nice of a place without freedom of speech in other regards. The founders of America frequently stated that the citizenry must always be vigilant and jealously guard their rights and freedoms. This is the attitude now on the podium of Donald Trump; the only candidate opposed to the plan to hand over control of the internet to a conflicted party of those seeking ever more power in the world. 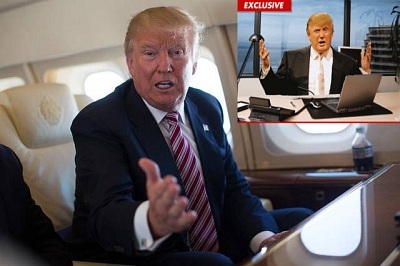 U.S. Republican presidential nominee Donald Trump is currently conducting verbal opposition to the semi-secretively planned transition of oversight of the internet’s domain name system (DNS) management from the US-based governance to the UN, a global organization of political stakeholders from around the world; which could abrogate and hand-over control of the internet itself to authoritarian regimes such as China and Saudi Arabia and others; foreseeably threatening online freedom. Internet DNS is basically a directory for internet-connected devices that helps translate domain names to numerical IP addresses. The ‘handover’ of the internet DNS was proposed in March 2014, implying the transfer of oversight from the nonprofit Internet Corporation for Assigned Names and Numbers (ICANN) and is soon expected to fully occur; unless Congress now acts quick and votes to block the move. Recently the US National Telecommunications and Information Administration (NTIA) finally signed off on the agreement. Some congressional negotiators are currently working to finalize an agreement on a new spending package, due September 30th , allegedly containing a provision to delay the transition. Democratic presidential candidate Hillary Clinton supports the Obama administration’s planned transition to give the UN control over everyone’s domain names. If that happens, a highly entrenched foreign political power would have control if anyone’s domain expires earlier than expected, without option to renew – and perhaps even with more authoritarian controls. This is the workings of the current government and system that everyone worldwide is paying taxes in support of. Please share this article and/or speak your mind directly with others who should be concerned as well. This page explains domain purchasing today. Currently, the European Union has some of the worst copyright laws in the world. If left unopposed, this could quickly leak over into Canada too. The new proposals include the unprecedented new “Link Tax” for publishing giants, allowing them to charge fees for reposting links that contain 100 character snippets of “copyrighted” text. On September 14th, 2016 the EU Commission presented these new rule proposals to the European Parliament. Earlier leaks hinted the rules were worse than originally feared, and the recent announcement proved it. Not only Europeans, but everyone simply has to help stop this now. 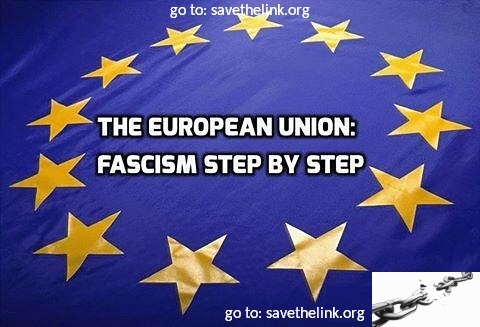 Despite online opposition leading up to this point from over 100,000 Internet users, and many dozens of civil society groups, the EU Commission has charged full force ahead with its’ abusive anti-free-speech and anti-free-association plan. We must demand that our so called “decision-makers” and the entirety of the government absolutely reject such crazy Link Tax proposals, along with any other forthcoming disastrous copyright measures. We must all speak out now or the internet as we know it will be much more corporate and state, rather than grassroots controlled. In addition, the EU Commission’s new rule proposals include invasive and expensive methods for 1) monitoring and 2) “filtering” user content. In other words, the censoring of content and creativity online. The “Court of [In]Justice” of the European Union has ruled that it can now be illegal for websites merely to *link* to copyrighted content – such as news articles. Again, we are talking about the “mere act of linking” (or perhaps even just printing a link) to copyrighted content can in and of itself be a breach of copyright. Today’s decision went against the previously published advice of the CJEU’s own Advocate General, who stated earlier this year that the simple act of linking should never be made illegal. Although the CJEU created a narrow exception where links are not posted for profit, the sweeping ruling will affect any commercial enterprise, even news startups and small-audience hobby bloggers, that share links with their readers, especially those who monetize their websites by selling advertisements. The ruling will be directly binding on the 28 EU member nations, but experts have warned it will also have a worrying global impact, given that it affects any link that is accessible within the European Union. This certainly places an unduly heavy burden on small businesses and bloggers who may not have the resources or the expertise to check the legality of every link they share. Hobby bloggers who earn even a modest income from their work, such as by having ads on their blog, will now be legally responsible for ascertaining the copyright status of every item of external content they link to (music on Vimeo, photos on Flickr, etc.). Small businesses which use Facebook for promotion will now need to check the copyright status of everything they share. Twitter is now adding ‘read receipts’, typing indicators, and automatic web-link previews to its “direct messages” giving it chat-like functionality. 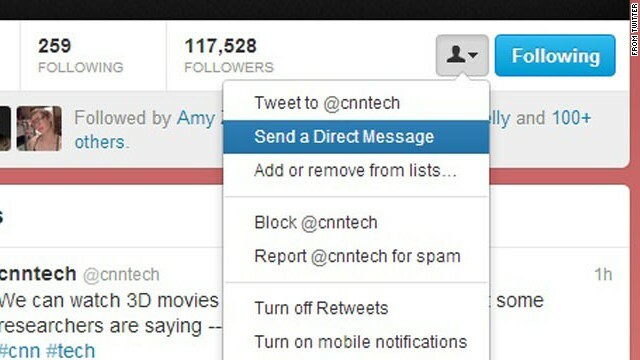 These new dynamic Twitter Direct Messages allow you to see who is reading and responding to your messages. Over the years that Twitter has been mainstream, the “tweet” has morphed from a simple 140-character text message now beholden to more creative expression featuring: hashtags, images/photos, videos, vines, and now more. Twitter has added the ability to poll your community, react quickly and cleverly with GIFs, and share and enjoy Periscope broadcasts in Tweets. You can now do a lot in a Tweet. In the coming months Twitter will be making changes to simplify tweets including what counts towards the 140 character limit. For example, @names in replies and media attachments (like photos, videos, & polls) will no longer use up valuable characters. · Replies: When replying to a Tweet, @names will no longer count toward the 140-character count. This will make having conversations on Twitter easier and more straightforward, no more penny-pinching your words to ensure they reach the whole group. · Media attachments: When you add attachments like photos, GIFs, videos, polls, or Quote Tweets, that media will no longer count as characters within your Tweet. More room for words! · Retweet and Quote Tweet yourself: We’ll be enabling the Retweet button on your own Tweets, so you can easily Retweet or Quote Tweet yourself when you want to share a new reflection or feel like a really good one went unnoticed. · Goodbye”. @: These changes will help simplify the rules around Tweets that start with a username. New Tweets that begin with a username will reach all your followers. (That means you’ll no longer have to use the ”. @” convention, which people currently use to broadcast Tweets broadly.) If you want a reply to be seen by all your followers, you will be able to Re-tweet it to signal that you intend for it to be viewed more broadly. Twitter will be making these and possibly more changes over the coming months. The twitter updates now in progress will have a significant impact on the art of tweeting. Twitter will be endlessly exploring ways to make tweeting easier and more content rich, somehow without excessively compromising the unique brevity that makes Twitter perhaps the very best place for live commentary, connections, and now even conversations. Thank you for reading over the 4GoodHosting.com blog. Intel has recently unveiled its ”7th-generation” core processors, with the promise of improved performance. 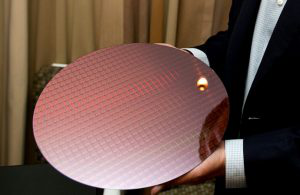 A new 7th generation processor die is pictured to the left. The new processors have new numbered codes to identify them as 7th generation, but, these codes also mix the “Core m” name in the with the “Core i” branding. “Core i” processors have always been powerful processors for high-end laptops and “Core m” processor are typically used in in smaller and less-powerful devices. However, processors which were formally called the m5 and m7 and now listed under the i5 and i7 lines. Intel stated on their website that the renaming decision is intended to make it simpler for consumers to select a processor – but we think the naming convention will just befuddle our customers. Consumers can still identify the ‘Core m’ chips in the ‘Core i” range by looking out for a ‘Y’ in the number. Here is an example for the uninitiated: “Core i5-7Y54” is a former “m” chip, but the original “Core i” line will continue with model codes such as “i5-7200U”. “Kaby Lake” is the code name for Intel’s 7th generation Core processors. It is a relatively a minor upgrade over 6th-gen “Skylake” release, yet it is still an significant improvement which makes 2017’s pc and laptop market ever more interesting. Kaby Lake is a minor upgrade which means there are really no major structural changes to overall design and what the processor capable of. Previously, each generation saw a reduction in process size, smaller and lower power consumption and a more powerful architecture.